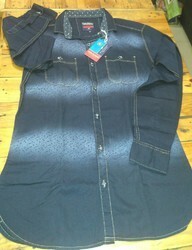 New arrival of cotton denim Printed shirt for Mens. Size 38 & 40 available. Full sleeve only. Hand wash recommended. 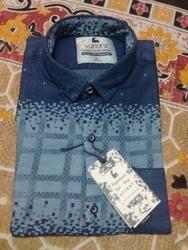 We offer highly fashionable Denim shirts that are made from quality cloth material and cater to different apparel industry. Available in different shapes, sizes and color combinations, these are available in all standard sizes at industry leading prices. Presenting denim shirts that can be wore in any season. These shirts have fast color and needs low maintenance.